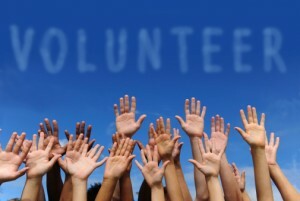 Volunteering is a great way to boost morale and promote team building for your company, organization, or student group. Corporate and group volunteers at Moody Gardens have an opportunity to get involved with ground work and special events, such as the Festival of Lights. At Moody Gardens, we wouldn’t be able to do what we do without the help of our incredible volunteers. We depend on them for assistance in many areas of operation. Volunteering with a group gives you the opportunity to become part of the conservation and education efforts that are a major aspect of Moody Gardens. You also have the chance to give back to your community and meet new people. When you aren’t spending your time helping us out, be sure to check out the popular attractions, such as the Rainforest Pyramid and Aquarium Pyramid. For overnight stays, check out one of the best places to stay in Galveston—the Moody Gardens Hotel. We are so appreciative of our volunteers, and look forward to working with you soon!